Textile design is a part of the creative industries sector which encapsulates every aspect of design involving knit, weave and printed fabrics, from raw material to finished item. Textile designers often work with fashion or interior designers to ensure that the fabric/textile that they are creating is perfect for it’s expected usage, this includes having the correct pattern and fabric properties (such as thickness or tendency to crease). Both areas create very different types of fabric/textile, with very different prints. It is important that you are focused on which area you would like to pursue, although the techniques used can be similar, the end product is not. Though some jobs are advertised in this industry, many organisations recruit from speculative applications. Companies looking for new designers tend to visit New Designers, Graduate Fashion Week or final year shows to scout potential employees. 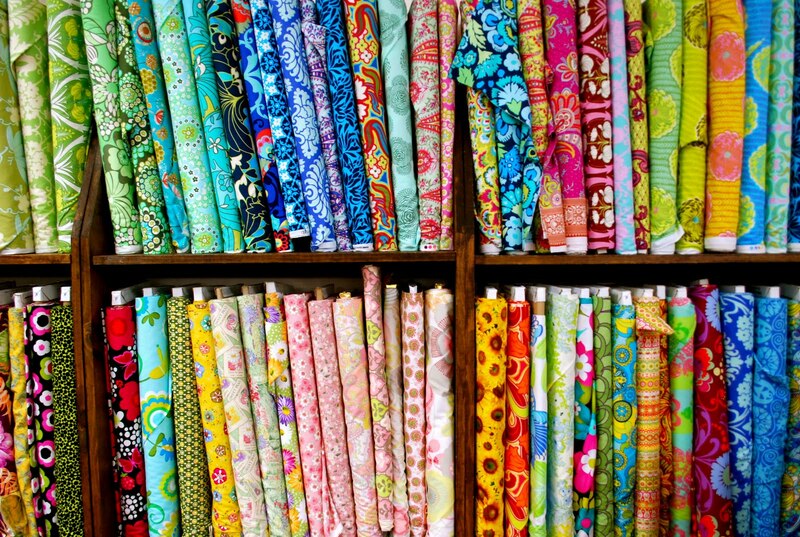 Many textile designers work freelance, for several different employers. This can often be a good way in to the industry as it allows you to network and build contacts in many different organisations. Freelance work may lead to self-employment – though this is usually after lots of experience in the sector. The textiles industry is a very competitive sector so you need to be able to deal with rejection, be resilient and most importantly be proactive. Which area of design are you interested in; interiors or clothing? What is your specialism? Knit, weave, print, embroidery, the list goes on! Does your work ‘fit’ with a particular organisation e.g. Monsoon, or sector e.g. children’s fabrics or industrial fabric for transport? Most textile designers have a degree in textiles, knitwear, fashion, surface design or art and design. You will also find that relevant work experience paid or unpaid is an essential part of getting into this sector. Therefore you will need to build good networks and relationships with design companies; this includes course tutors and Leeds alumni. You can take a look at Leeds Network to find relevant alumni, and may even be able to secure some work experience or an informational interview! Attending relevant trade fairs such as New Designers, is also an effective way of making contacts. Having an online presence is also very important. This can include having a website or blog and also being present on social networking sites such as Facebook, Twitter and LinkedIn. Try to portray your interest in textiles throughout these channels, so that potential employers can see that you are passionate about your sector. It is of the utmost importance that you have a keen interest in design, textiles and crafting – and enjoy working with a rage of style and techniques. Artsthread: Online educational tool designed to connect students, graduates, universities and industry, exclusively within the field of design. Artsthread Blog: Graduates and final year students can upload their portfolios which can be viewed by organizations looking to recruit.